In a press release, Bernadette Gray-Little said she intends to step down as Chancellor next summer. She added that now is ‘an ideal time’ for the University to identify a new leader, as the Kansas Board of Regents has a full academic year to appoint a new chancellor. 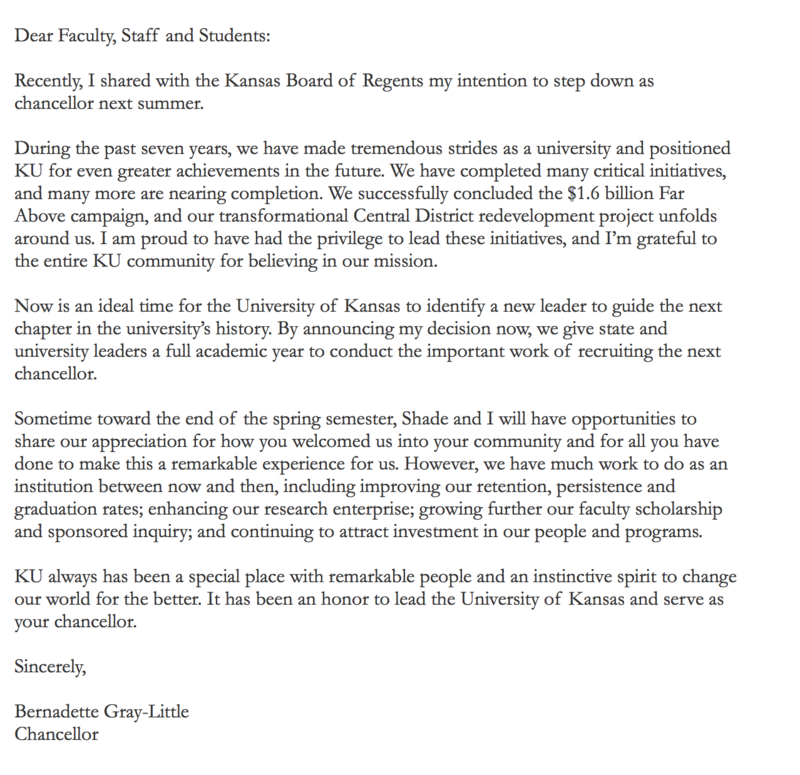 Gray-Little said in her release the University still has ‘much work to do as an institution,’ until she steps down at the end of spring, including: improving the retention rate, persistence and graduation rates, and enhancing the research enterprise. Gray-Little has served in her current roll for the past seven years. During her time at the University of Kansas, Gray-Little has completed projects such as the $1.6 billion Far Above campaign, as well as overseeing the redevelopment of the Central District.